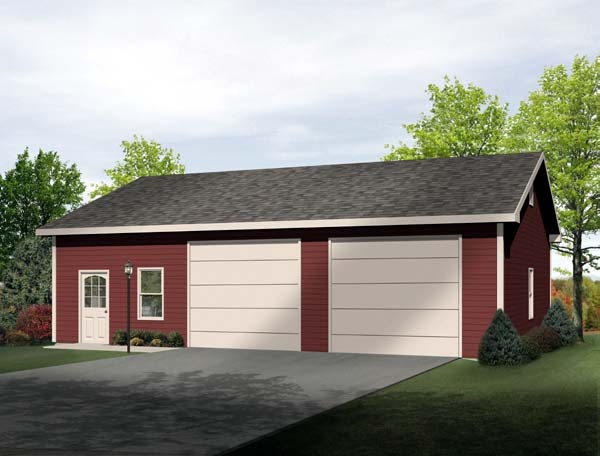 Just right for those who work on cars or enjoy home projects, this two-car drive-thru garage with workshop will complement almost any home while providing room for car storage an plenty of work space. The convenient drive-thru design makes it easy to store cars, boats, trailers, small tractors, ATVs and other outdoor equipment. 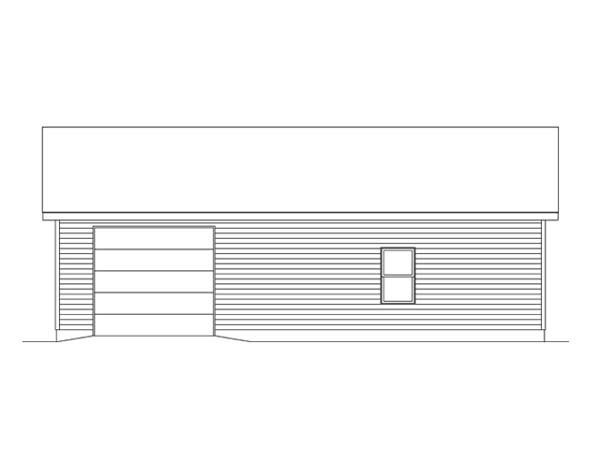 Two, front 10’x9’ overhead doors and a rear 10’x9’ overhead door offer access from both sides of the building as well as allowing a vehicle to pull straight thru the building. The flexible workshop area is ideal for woodworking, car maintenance or storage. 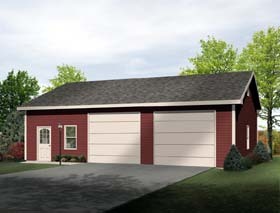 This detached two-car garage plan will complement any home or backyard.